This is my little sister, Sara!!!! Note from Rachel: I’m really excited today to have the very first guest post of this blog’s (short) history! Allow me to introduce my kid sister, Sara. When I describe her to people I usually give these stats: she’s a scientist, she plays competitive roller derby, she’s way smarter than me, and she’s one of the coolest people you could ever meet. She just graduated with a BS in Biology with a concentration in Ecology and Wildlife Management from my alma mater Western Kentucky University. In college, she had some pretty amazing adventures and some really cool scientific experiences. 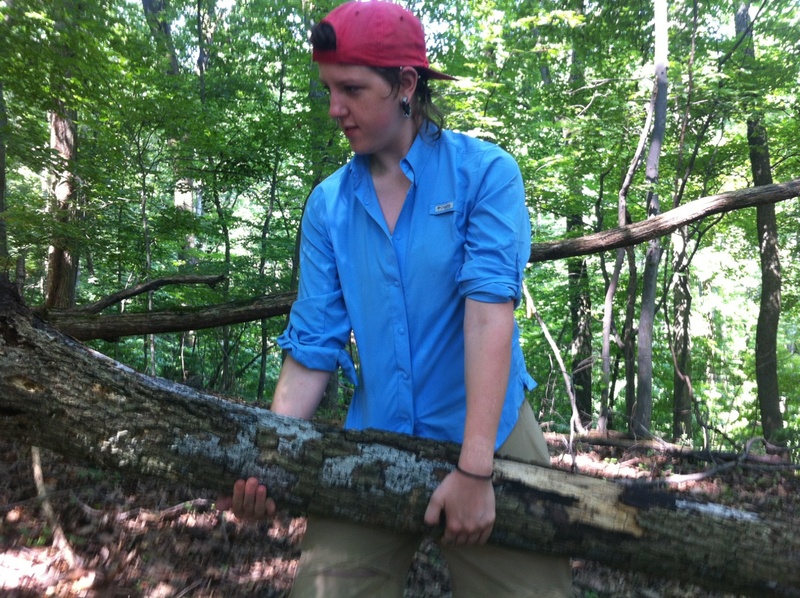 Check out this write-up of her long-term internship with the National Parks Service and this article about an African wildlife management course she participated in last summer (here is a video about the course…she’s basically the star). After her graduation and the completion of her honor’s thesis this spring (she examined song bird use of restored old-fields), she decided to take a much deserved break from the world. And what better way to get away from it all than to go hiking, right? Never really known for moderation, my sister doesn’t just decided to go camping for a few weeks. No, no. 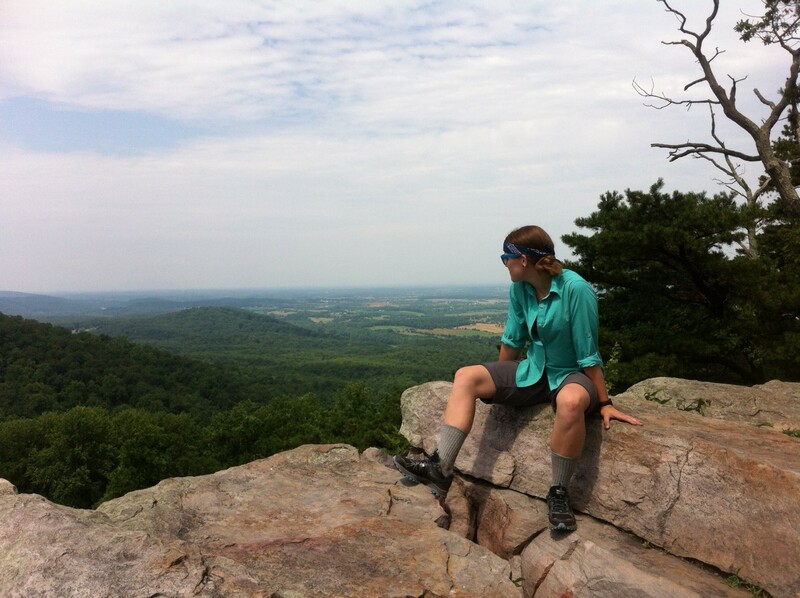 She decides to hike about 600 miles of the Appalachian Trail. And, because I think a big portion of this blog should always be dedicated to enjoying nature, I’ve asked her to write a few guest posts along the way. So here you go. Two girls, two hammocks, one dog, and about a million trees. What could go wrong? Hello! 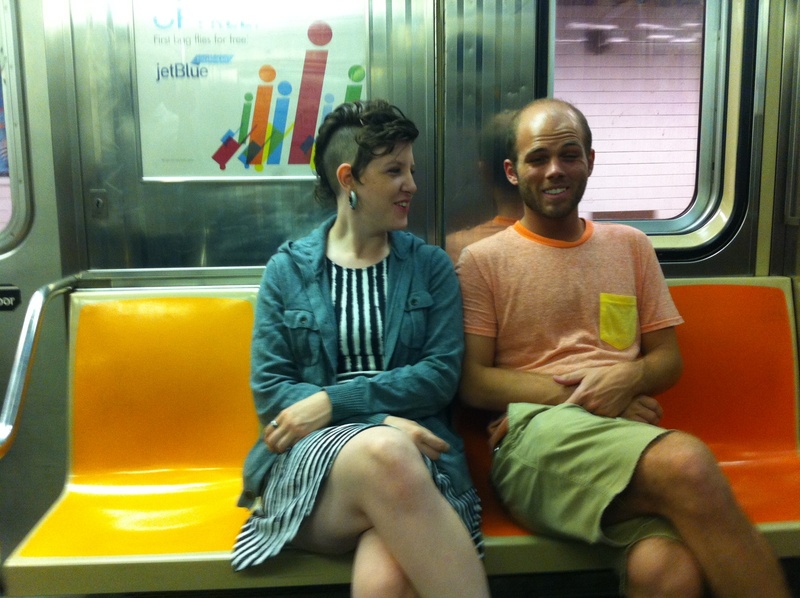 To avoid starting my own blog to later abandon, I will be sharing my summer 2013 adventures on my sister’s already established blog- thanks Rachel! We (Holly, our 4 legged friend Annie, our gracious chauffeur Nathan, and myself) started our adventure on June 19th. 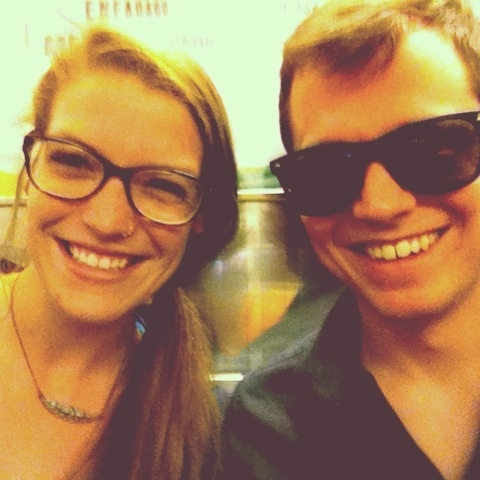 We left KY and headed up to New York City to see my friend, the incredible Austin Brown. While there, we visited The Museum of Modern Art, the American Museum of Natural History, Central Park, and the Stonewall Inn. On Sunday, June 23rd, we left New York and headed to Harper’s Ferry, WV to start our two month, 600 mile, trek through the woods of Appalachia. Nathan dropped us off just before night fell, and the three of us were on our way! After a rough first night (rain and a tree falling on Holly and Annie), we had a great first day on the trail. There is nothing like waking up in the woods. We walked about 10 miles our first day, even with a stop to hide from a pretty bad summer storm (Note from Rachel: Sara’s current Facebook status is, “All it does is rain on the Appalachian Trail”). The first night we staying in David Lesser Memorial Shelter camping area, which had plenty of good hammock hanging trees (our means of “shelter”). Holly, with the tree that feel on her on day one! The next morning, we started “the roller coaster,” a 13.5 mile stretch of tightly packed accents and descents. I had heard that days 2 and 3 are the worst days of adjustment for long distance hikers. So that, added to the roller coaster, made for a pretty intense first week. Luckily, for every accents there is a view, making for a beautiful first few days. By day 4 we had our trail legs. We started the day with the end of the roller coaster, and soon doubled our mile time. By the end of the day we’d hiked over 15 miles and got to see Sky Meadows State Park, which put a huge smile on everyone’s face. We made it to Front Royal by day 5 and hitch-hiked into town (sorry Mom!). 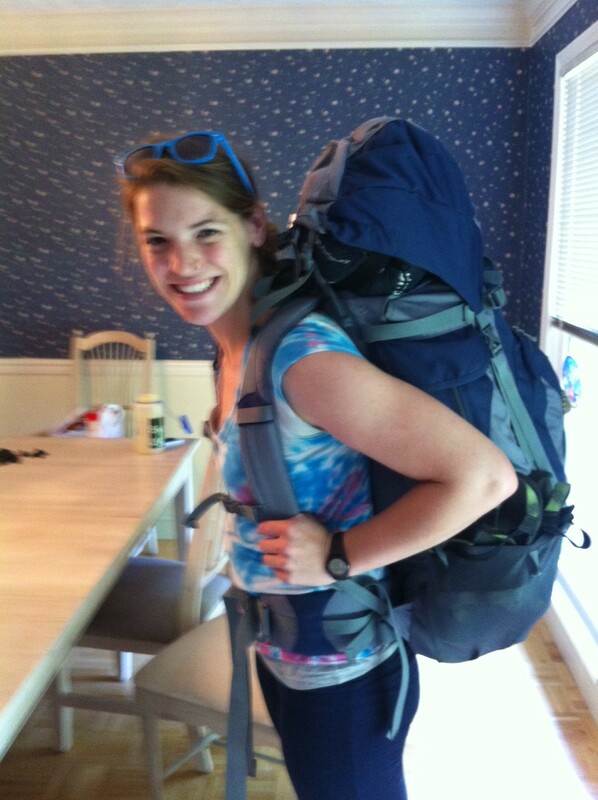 It was out first hitching experience but getting picked up in a trail town with packs on your back isn’t very hard. We got a ride to Nate’s Garage, owned by Holly’s friends, who opened their home to us for the weekend. From the garage, we went to Lucky Star, the local bar they frequent. It was a very cool place; we quickly put the killing on some nachos and beer and met a ton of new friends. 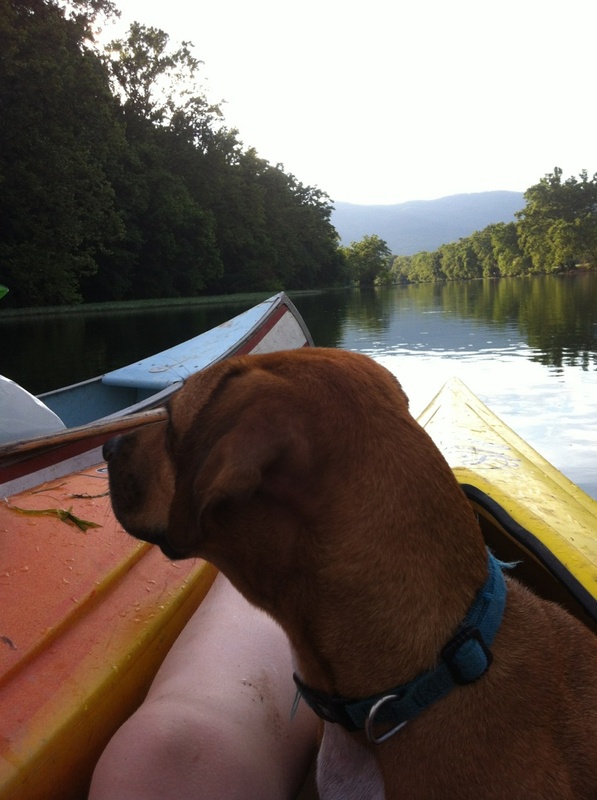 The next morning, everyone woke up with a headache, but we were still ready to go for a paddle on the Shenandoah River. 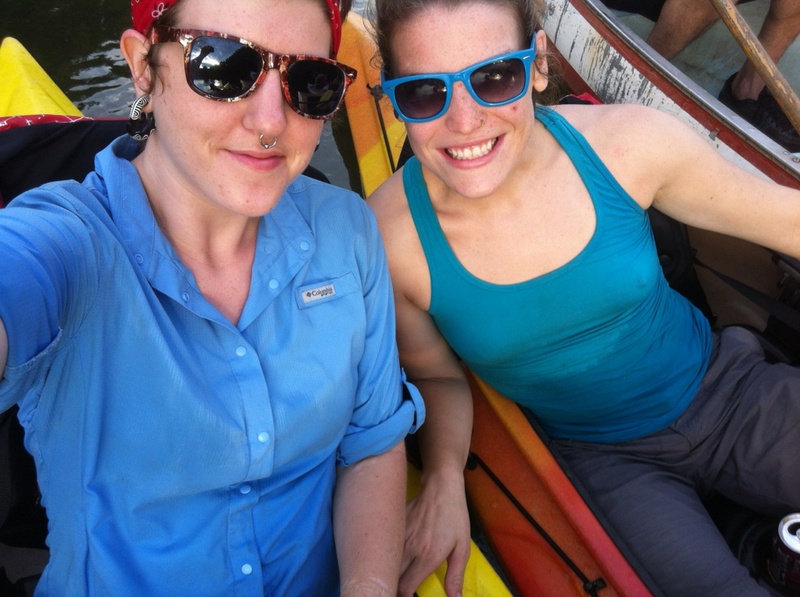 After scoring some free grub by crashing a graduation party (just kidding, we were invited), we launched our boat to paddle 10+ miles. This was a great way to spend our first zero day (zero day= zero miles hiked in long distance trekker speak). We got to rest our hiking muscles, while working out the only muscles we’ve been neglecting! Nate and Liz have been so great to us, not to mention they live in one of the prettiest places I’ve been in the eastern US. I’d love to make it back here someday. We are having a lazy Sunday, resting up and resupplying. 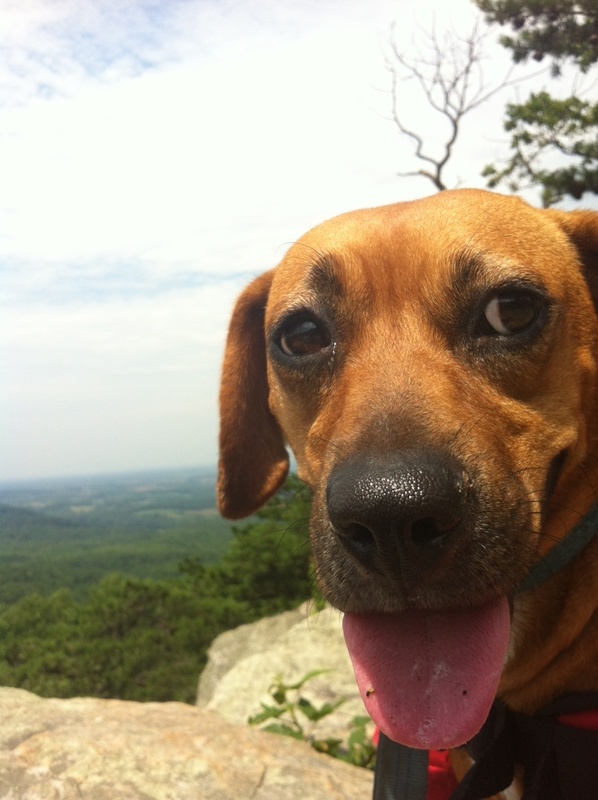 We plan to get back on the trail later on today (Sunday June 29) and head on towards Waynesboro, VA.
Our little puppy friend, Annie, is having a blast! She loves the woods and it has brought out a new side to her personality. The shy, skittish puppy who left KY has a different sort of confidence about her. She has decided she’s our protector and lets everyone we meet know it- growling until we reprimand her. She was so protective from the very first day we decided AT stood for “Annie’s Trial.” She has gotten the most trail magic so far, mostly in the form if food scraps, and she’s made lots of puppy friends. She has enjoyed her zero days but did not enjoy the river, she’s a trail dog I guess. Everything she does amuses us! She’s been a great addition to the company.